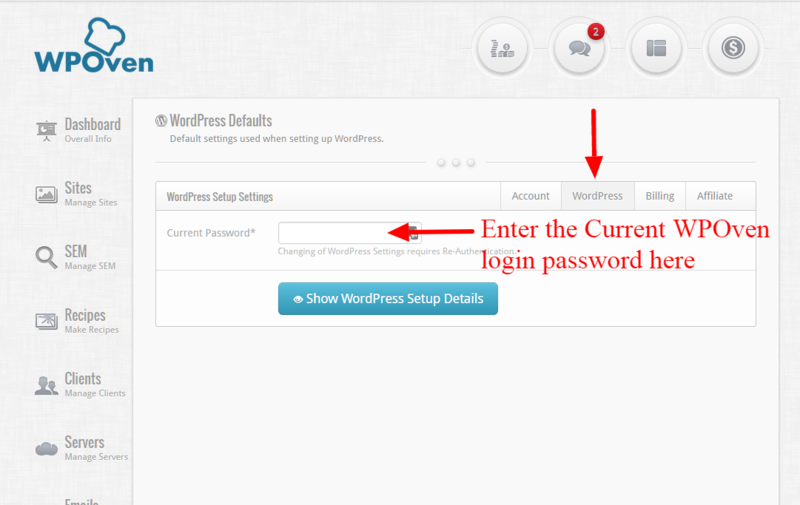 How can I change default WordPress login details ? 1. Open the “Account Settings” tab. 2. 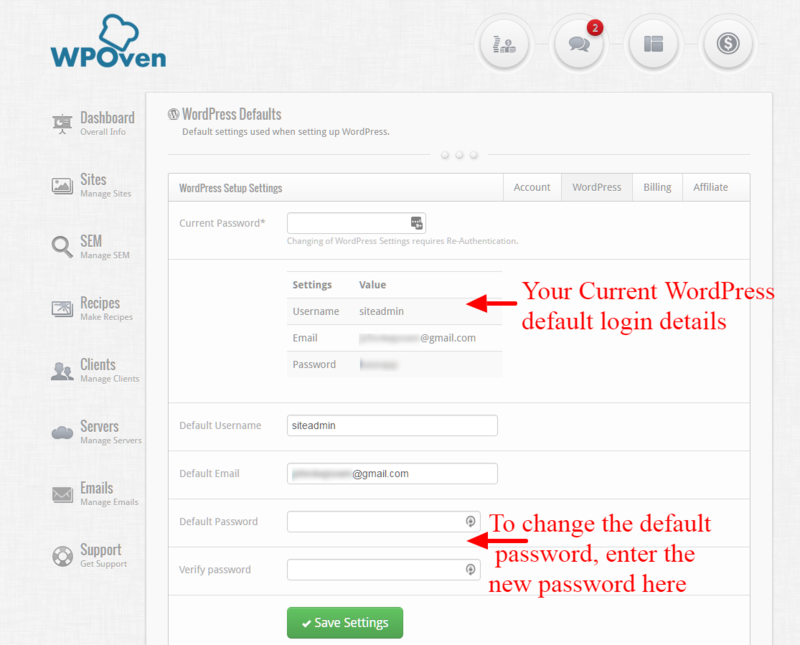 Click on the “WordPress” tab and enter your WPOven login Password and click the “Show WordPress Setup Details” button. 3. You should now be able to see the default login details and a form to update the Default Password.. To change the default password for the new sites, you can simply update the default password fields. Note : If you update the default password it will not change the passwords for the already created sites. Only the sites created after the password change will have the new default password.